a few weeks ago we had a large amount of peaches and blueberries (i wish this was still the case…). 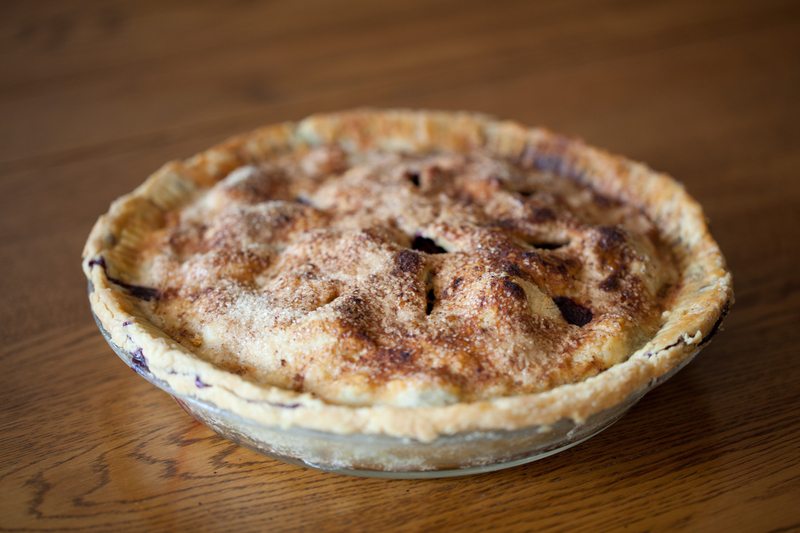 since i had a little helper and a bigger helper, we made some peach blueberry pie, using my grandma lucile’s pie crust and this recipe as inspiration. Measure flour and salt into bowl. Cut in shortening thoroughly. Mix egg and vinegar with water and combine with the flour mixture and stir until all the flour is moistened. Makes four 9 inch crusts. preheat oven to 400 degrees and place a rack in the center of the oven. 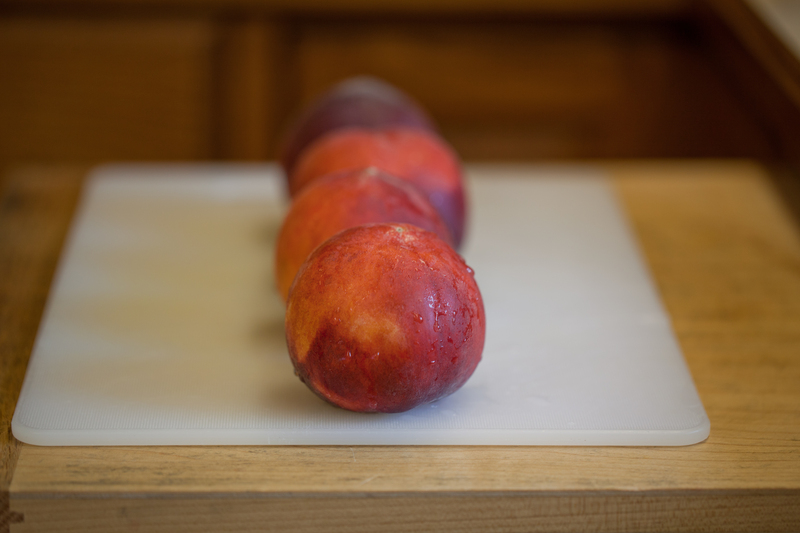 wash and slice peaches. in a medium bowl, combine peach slices and blueberries. 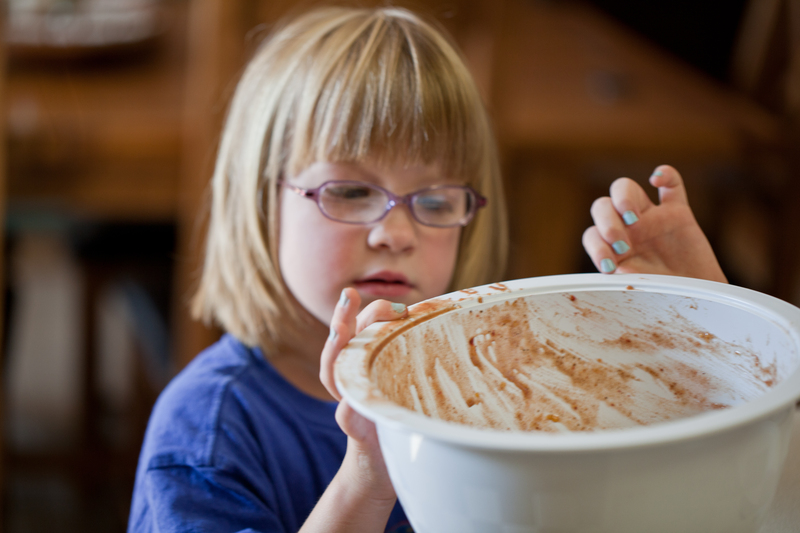 in a small bowl, whisk together sugar, spices, flour, and cornstarch. pour the sugar mixture over the fruit, and gently toss together with a wooden spoon. stir in the lemon juice. place bowl of fruit in the fridge to rest while you roll the crust out. gently pour the fruit filling into the pie dish. drape top crust over the fruit in the pie dish. with a small knife, trim the crust, leaving about 3/4-inch overhang. with your fingers press the top and bottom crusts together and fold under. use a fork or your fingers to crimp the edges of the dough. cut five small slits in the top of the crust so the juices and steam can vent. brush lightly with beaten egg and sprinkle with cinnamon sugar mixture. not a pie in our house! i love that sarah knew it was her by the funky nail polish! i’ll have to have her help again, soon. she’s a great su chef!